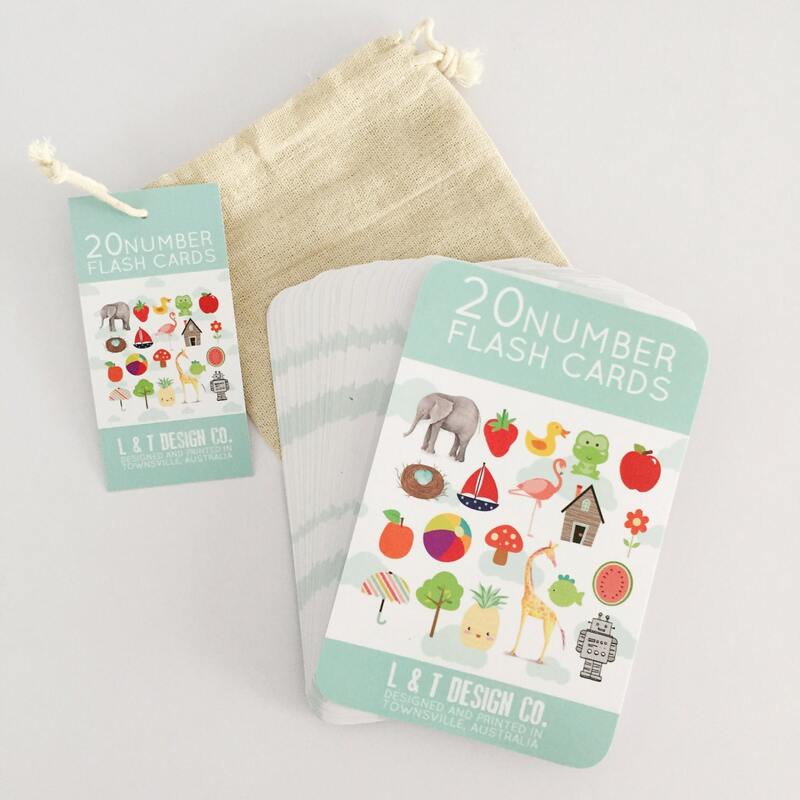 20 Beautiful Number Flash Cards to make learning fun! 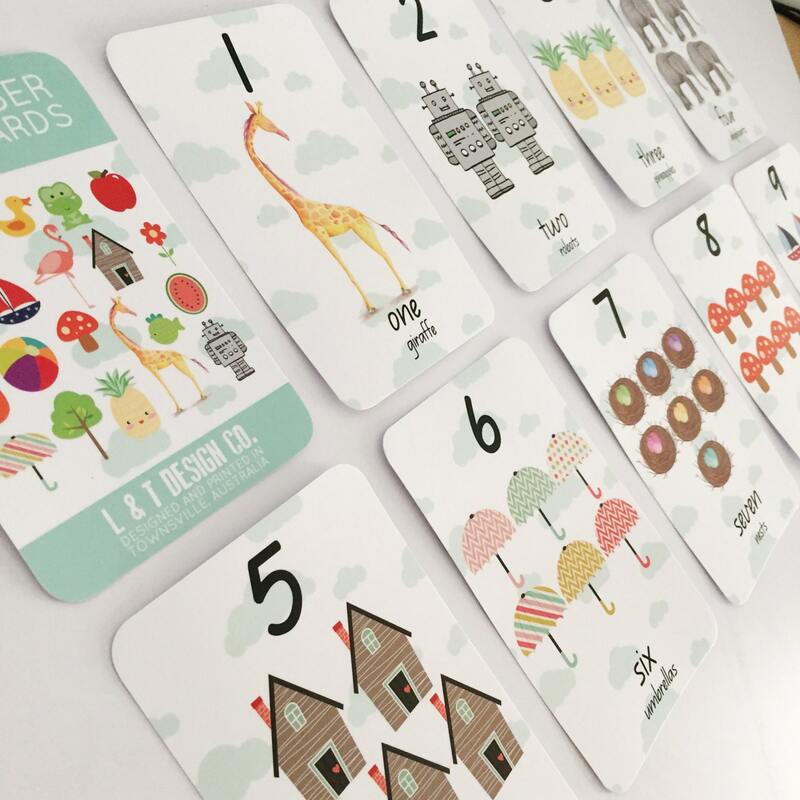 Numbers 1 - 20 included. 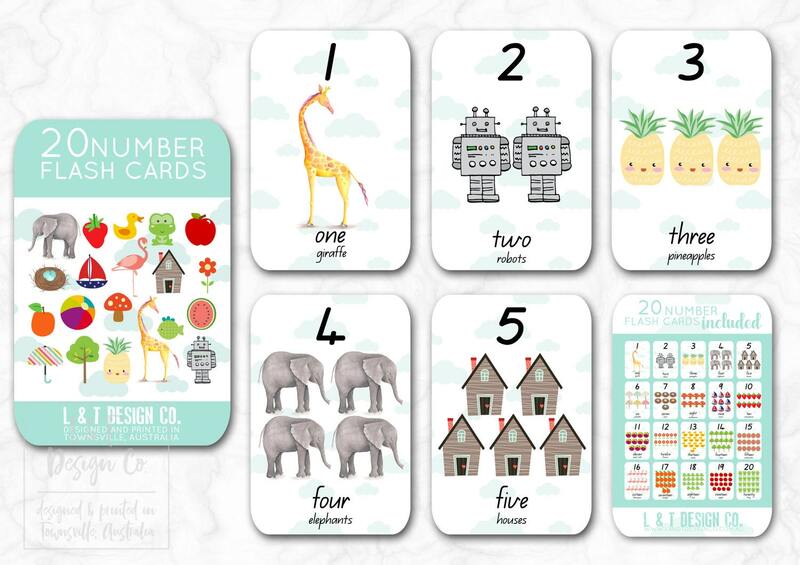 L & T Design Co.'s Number Flash Cards have a laminated finish for protection, and rounded corners to protect your little one from nasty, sharp corners. 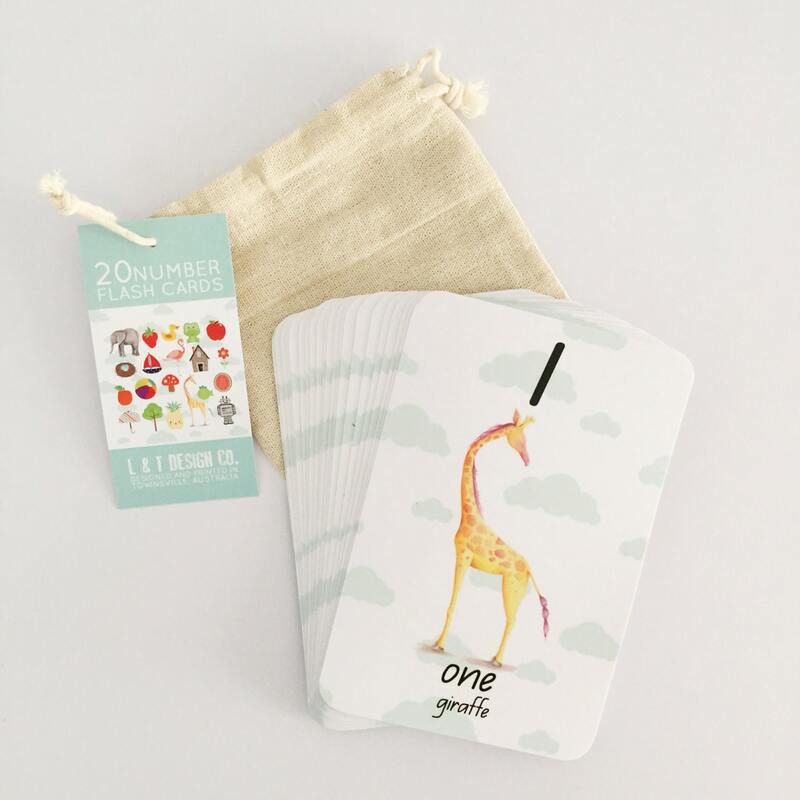 Our Number Flash Cards come lovingly packaged in a clear cello bag within a sweet linen drawstring bag, making storage easy. 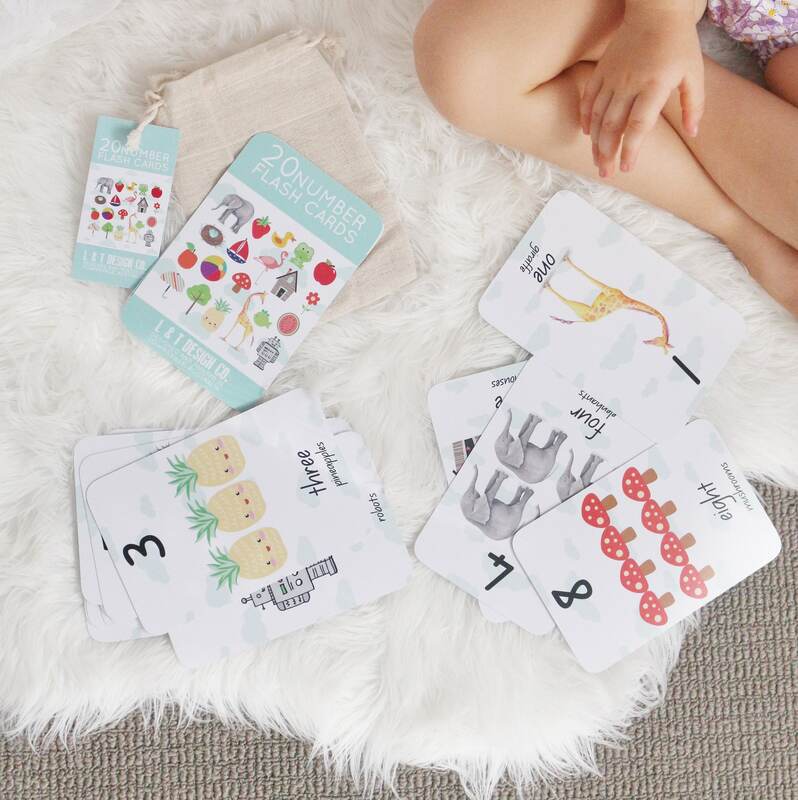 They make the perfect gift for a little one's birthday or a new Mumma or Dadda, and are a great addition to the early childhood learning environment.